We are looking for a Data Engineer for one of our Geneva based customers. Very good knowledge of relational databases, SQL, optimization of SQL queries, PL / SQL. Very good knowledge of Oracle. Very good knowledge of HUB and DataWareHouse databases, with practical experience. Very good ability to model financial data, alternative funds an asset. Good knowledge of agile principles. Experience in Scrum practice an asset. Knowledge of Informatica an asset. EPF diploma, HES, university degree or training deemed equivalent. 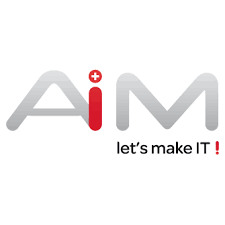 Ranked among the top 10 IT services companies in the French-speaking part of Switzerland, AiM supports its clients through 3 main areas of IT: Application, Infrastructure Management and Mobility. For more than 12 years, AiM has developed a deep expertise in IT solutions and services in the fields of Financial Services, Public Administration and International Organizations, Industry and Watchmaking.